We believe that a new economic framework requires a new form of digital currency (aka the good dollar). The bitcoin protocol is perfect as the underlying technology just as HTTP is the foundation of the web. Below is the initial spec to build the new framework on top of the Bitcoin network, thus creating an economy of bitcoin 2.x, multiple currencies easily created by any community and deriving its value from the community and protected and secured by all communities. Bitcoin P2P infrastructure for clearing payments has been established as secure, reliable and free way to transfer value between accounts. While the Bitcoin network (protocol) itself is secure and stable, service providers for the Bitcoin Eco-system has been down multiple times, causing damage to Bitcoin reputation and exchange value. The correlation between the underling technology and the value of the currency is causing people to assume that the technology is not trustworthy and that the value is too volatile. Bitcoin 2.x is an idea to separate the bitcoin network (technology) from the value of a currency (community) using the bitcoin network to clear transaction and avoid double spending. The genesis transaction has a certain amount of bitcoin that was transferd in it. this BTC amount will be used to create all the value in the currency. Thin “currency clients” are then created with a special method for calculating balance. first we find all the transaction that their last address is the client address. we take each of these transaction and crawl the block chain to see if this transaction was generated from the genesis transaction. 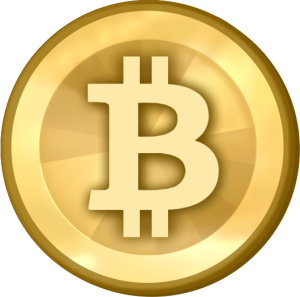 Colored bitcoins are ordinary bitcoins that at one point at history where transferred in the Genesis transaction. since all the history of the each bitcoin is save in the block chain it is possible to check for each bitcoin if he is colored or not. now because these colored bitcoin are also regular bitcoin they can be transferred using the bitcoin network from address to address. At the creation of the currency a single owner has the whole value of that currency. At the end of the distribution all the value is transferred from the ancestor to the clients. The process between the two stages is the distribution. after the initial distribution is finish the ancestor has no centralized role in the economy and the clients can manage their economy in any way they see fit. and distribute it evenly. Than each one of the people installs the client. than the client sends the owner his address. Than the owner send him (total genesis amount/number of people)BTC from the genesis transaction. in a more real use case the owner won’t know the amount of accounts the currency will have. In addition the owner will not necessarily know all the people he wants to participate in his economy. in which case he can implement some invitation system in which each new potential client is able to invite more clients to the system. This can go a long way with social network authentication, social graph crawling, vouching systems, sms verification, unique ips, physical identification and so forth. This methods could be used to minimize fraud in the initial distribution. another possibility is that the each invitation will cost the new user a certain about of coins to create incentive to bring people that won’t try to manipulate the eco-system.